Hello! So we thought we’d give you a post about what’s going on with the zine and a new issue! Ok, cheap plugs aside, we have already announced two interviews that will run in the next issue!!! 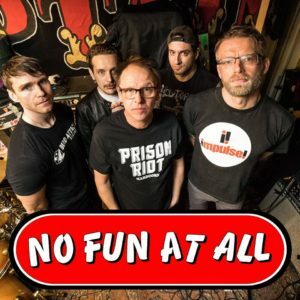 First up we have an exclusive chat with Swedish punk rockers No Fun At All about their stunning new record “Grit”. The new issue will also feature a chat with the legend that is Miki from shoegaze/indie band Lush. That’s quite a scoop for us, well pleased! We have decided to have more features in the next issue and less pages of music reviews, just because we can and we want to get the zine out as soon as we can, whilst the interviews are still pretty fresh! So please do head to the shop and buy the current issue so we can clear some space out on the shelf and get the new issue released! Nice one, cheers!